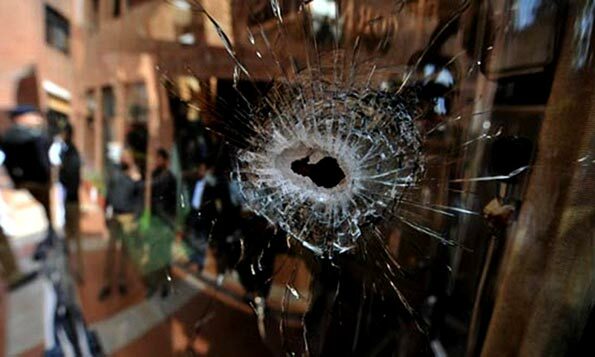 Three wanted Taliban terrorists, including one militant involved in the attack on Sri Lankan Cricket team in Lahore, were killed today by the Pakistan security forces during an operation near Lahore, officials said. Crime Investigation Agency chief Umer Virk said that on an intelligence tip off a police force comprising commandos raided terrorists’ hideout in Bhaghwanpura area, a thickly populated locality near Wagah Border in wee hours of today. “When the forces surrounded the house, the terrorists started firing. The commandos returned the fire, killing three terrorists,” he said. Virk said the terrorists have been identified as Hafeez alias Mahmood who was wanted in Sri Lankan cricket team attack case (2009), Tahreek-i-Taliban Punjab commander Qasim alias Rafiq and another Taliban member Yasir. “Hafeez carried a head money of Rs 2 million, and Wasim and Yasir Rs 1.2m each,” he said, adding that two hand grenades, kalashnikoves and suicide jackets have been recovered from the house. Virk further said the terrorists were planning to launch an attack in Lahore.